SYDNEY/BROOME/CYGNET BAY, Australia, Nov 23 2018 (IPS) - Australia’s remote north-western Kimberley coast, where the Great Sandy Desert meets the sapphire waters of the Indian Ocean, is home to the giant Pinctada maxima or silver-lipped pearl oyster shells that produce the finest and highly-prized Australian South Sea Pearls. Australia is the only country in the world that uses wild oyster stocks. To ensure its sustainability, the pearling industry operates on a government-regulated quota system that sets a maximum number of wild stock pearl oysters that can be caught each year from the Eighty Mile Beach, south of Broome in the state of Western Australia. These wild pearl oyster beds represent the last wild commercial fishery for Pinctada maxima oysters in the world. In recent years, the Total Allowable Catch (TAC) has been set between 600,000 and 700,000 pearl oysters. The 2016 TAC was 612,510 pearl oysters and the total quota that could be seeded was approximately 907,670 (557,670 wild stock and 350,000 hatchery-produced), according to the Western Australia Department of Primary Industries and Regional Development’s 2016-17 Status Reports of the Fisheries and Aquatic Resources. 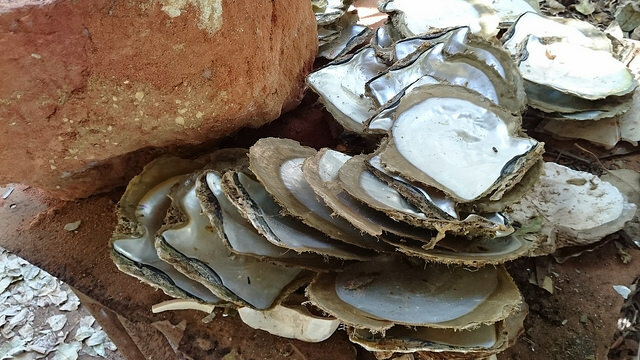 Australian pearling companies have been conscious of the need to protect the oysters’ habitat as there is a strong co-relation between Kimberley’s pristine environment and the production of high-quality pearls. “The nutrient-rich Kimberley waters, in which our pearls are farmed, are our most valuable asset and monitoring their condition forms an integral part of our operations and management. 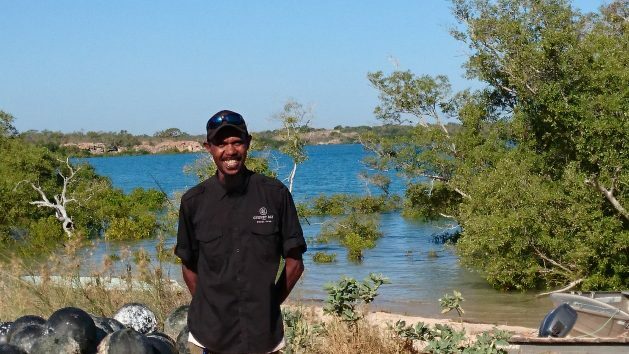 We have opened our infrastructure and expertise to the academic world and established the Kimberley Marine Research Station to encourage independent marine research and to help bridge the indigenous cultural knowledge with scientific knowledge, which we believe will help in our attempt to ensure our production practices are sustainable,” says James Brown, the third-generation owner and managing director of Cygnet Bay Pearls, the first all-Australian owned and operated cultured pearling company. Being an extractive and extensive form of farming, pearl oyster aquaculture is one of the most environmentally sustainable industries. Oysters are voracious filter feeders drawing their nutrition from micro-organisms like algae from the water column and in so doing effectively clean the water. But Pinctada maxima oysters are very sensitive to pollution and environmental changes. “Global warming and increased carbon dioxide levels in the ocean will make it harder for the pearl oysters to quickly and efficiently lay down calcium carbonate for the mother of pearl that makes the nacre for the pearl. This means that oysters will have to spend more energy for growth, leaving less for immune functioning thereby increasing their exposure risks of disease as rises in water temperatures speed up microbial and parasitic lifecycles,” Jerry adds. Since 2006, Australian companies have battled Oyster Oedema disease and Juvenile Oyster Mortality Syndrome, which impacts oysters before they are seeded with a pearl and may result in 90-95 percent mortality. Scientists haven’t yet been able to find a causative agent for the two diseases, which have almost halved the worth of the industry. It takes two years for an oyster to grow where it can be seeded and another two years for when the pearl is harvested. During these four years, the oysters have to be regularly cleaned. “It can cost up to AUD1 an oyster each time, which is a huge financial cost to businesses. If we can get to a stage of harvesting the pearl from a younger oyster, say three years, it will not only increase financial sustainability, but also environmentally sustainability,” Jerry adds. Hatchery-bred pearl oysters are now a major part of pearl production. Three oysters are required to create one pearl. A nucleus is inserted from one oyster into another healthy oyster with a small piece of mantle tissue selected from a donor oyster. With time, the mantle tissue that produces nacre (the secretion known as mother-of-pearl) grows completely around the nucleus, forming a pearl sac in which the pearl grows. An oyster can be reseeded up to three times, and, when it reaches the end of its reproductive life, it is harvested for the mother of pearl shell used in jewellery and inlay for furniture, and pearl meat. Last year, the Australian South Sea pearling industry of Western Australia and the Northern Territory, have been certified sustainable by the Marine Stewardship Council (MSC). Traditionally, the indigenous Aboriginal Bardi and Jawi tribes collected the mother of pearl to make a riji, which boys wear as a pubic covering at the time of initiation or formal admission to adulthood. The engravings on the shell symbolise their connection to earth and water. Now, the riji is worn for ceremonial purposes. The pearling industry employs about 800 people. The value of the pearl aquaculture sector was about AUD78.4 million for the 2015-16 financial year, according to the Australian Bureau of Agricultural and Resource Economics and Sciences (ABARES) Australian fisheries and aquaculture statistics 2016 report.